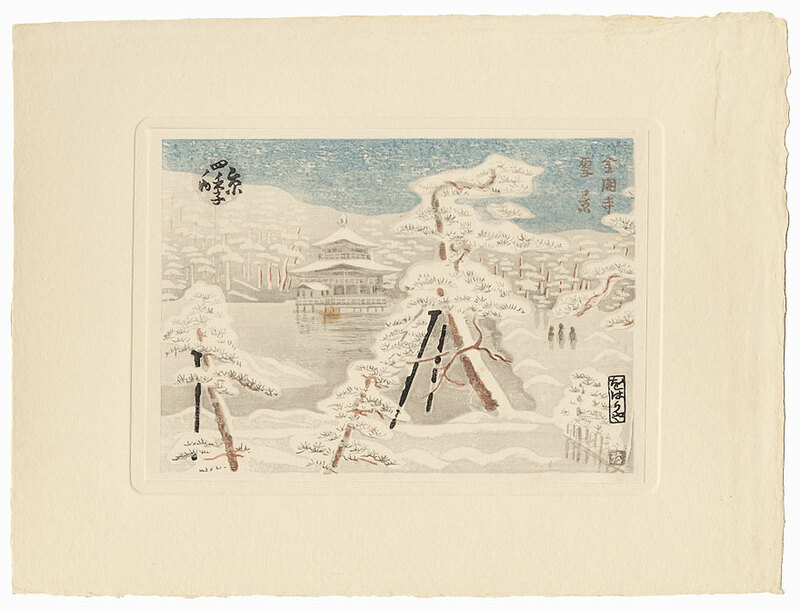 Four Seasons of Kyoto - In the 1930s, the Owariya noodle shop in Kyoto commissioned Tobei Kamei to create a series of woodblock prints for them depicting the "Four Seasons of Kyoto." The series includes four views of Kyoto throughout the year, along with an image of the Owariya noodle shop. These charming chuban size prints combine flowing line work and simplified painterly areas with a modern sensibility bordering on the abstract. Each print is mounted along the right edge within an inset area to the original backing sheet of heavy paper with a natural deckle edge. 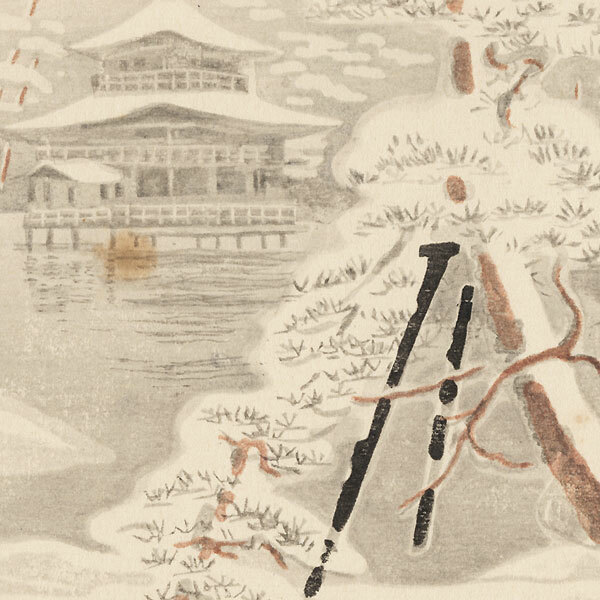 These great shin-hanga designs are rarely seen in the market and are a wonderful choice for a collector. Image Size - Print 5 5/8" x 8 1/2" + margins as shown; backing sheet 10 1/8" x 13 1/2"
Condition - This print with excellent color and detail as shown. 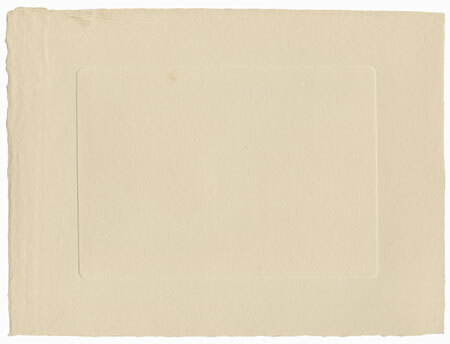 Mounted to original backing sheet at right edge. Slight toning, small stain. Please see photos for details. Good overall.